Groceries are something that you can’t just skip for a month like eating in restaurants. Here are some tips from DealDash to budget for your grocery shopping. We all need food to survive. Over the years the cost of food has risen substantially. Many people around the world have had a hard time-saving money on food. To save money on groceries, you have to have a budget. Without a budget, you can potentially be losing a lot of money every month. It may seem hard to stick on a budget when you are tight on money. Here are 3 ways to budget money for groceries, from DealDash. Using coupons to save money on groceries is the smartest thing you can do today. People use to just cut coupons out of newspapers, but now there are new ways to use coupons. For example, you can download a stores smartphone app for coupons. Make sure you keep the newspaper coupons in a coupon folder. Coupons will save you a lot of money on groceries. Just be sure to buy only things that you would buy anyway – don’t buy something just because you have a coupon for it! Another way to save money is to buy store brand products such as a Walmart or the supermarket’s brand. It is cheaper than buying name brand products, but it still has the same great taste. Almost all foods have a store brand version. Buying store brands will make a difference in your budget for groceries. Of course, there are always a few foods that taste better as the name brand. However, it’s smart to give each one a try to see what foods you can save money on by getting the store brand instead. Making a list will help you stick to a budget. It is so easy to buy anything and everything when you don’t have a list of what you are going to buy. Make sure you make your list in order based on what you are going to eat for breakfast, lunch, and dinner. When you make a list, you will have an easier time sticking to your budget. You will also find that this makes shopping much easier and faster as well. Save time and money, win-win! Saving money on groceries does not have to be difficult. Remember to never go to the store hungry and always focus on saving money instead of buying expensive brands. When you have a budget for food, you will never have to worry about running out of money. If you are shopping for kitchen items be sure to check DealDash first. DealDash also has gift cards for the whole family. Visit DealDash now. Thanks for reading, and see you on DealDash, everyone! This entry was posted in Lifestyle and tagged budget, budgeting, couponing, coupons, Deal Dash, DealDash, DealDash Auction, dealdash auctions, dealdash.com, money, save, save money on May 15, 2018 by . Couponing can save money and is also fun! Here are some couponing tips from DealDash that you should keep in mind. Everyone loves to save money, especially DealDash bidders! Couponing is one of the best ways to save money on groceries and household products. Using coupons when you go shopping can make a significant impact on how much money you spend. You would be saving a lot of money by taking advantage of discounts. While couponing can be beneficial it may seem overwhelming when you are a beginner. 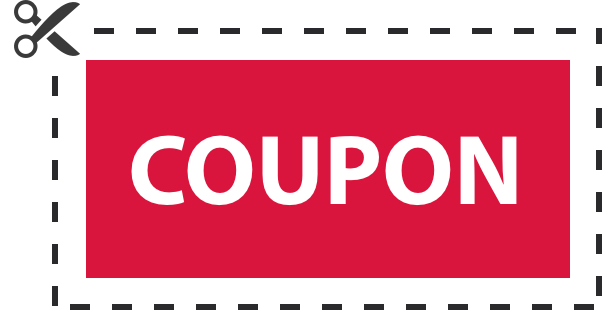 Here are 3 tips to coupon like a pro, from DealDash. Do You Have Your Couponing Supplies? You may be wondering what you need to start couponing. You need a laptop, printer, a pocket folder, a hole punch, scissors and a box to store the coupons. It is imperative to keep your coupons organized so that you can keep track of all of your coupons. Once you gather your materials you are ready to collect some coupons. I know that this sounds like a lot of materials, but you should have most of them lying around your house. Finding coupons is not a difficult task. There are so many different ways to find coupons such as a newspaper, store flyers, the internet, your cell phone, and at the checkout line. It is important to have many different places to find coupons so that you can get good deals. Make sure that you use coupons for the things that you actually buy, instead of using coupons just to make a purchase. You can also set up coupon swaps with your friends and neighbors. Have You Learned the Coupon Policies? Many different stores have different rules of how you can use coupons. Some stores allow you to only use one coupon at a time. Some stores allow you to use a manufacturer coupon and a store coupon at the same time. It is best to know the coupon policies of the store that you go to so there will be no confusion. Couponing can save you a lot of money, and it is one of the easiest things to do. Make sure you keep your coupons in a safe place in order to use them when needed. You will save a lot of money using coupons, and you will make your bank account very happy. If you are shopping for home items be sure to check DealDash first. DealDash also has gift cards for the whole family. Visit DealDash now. Thanks for reading, and see you on DealDash, everyone! This entry was posted in Lifestyle and tagged couponing, coupons, Deal Dash, DealDash, DealDash Auction, dealdash auctions, dealdash.com, frugal, fun, money, save, save money on May 10, 2018 by .